So it's been a week or two... am I too late to post an XBox One comic? For the record, I absolutely agree that the list of things Microsoft announced for the XBox One are creepy and dickish and they absolutely deserve the backlash they've gotten after their announcements. But this comic isn't really about the XBox One, this is about the comics about the XBox One. I don't know... It's not even released yet and the past week or so it seemed like every other comic was about the XBox announcements. I admit, there have been times I've posted comics that were soon dated, but the sheer volume of XBox One comics just seemed silly to me. Although in their defense, I admit Microsoft gave everyone plenty of material for jokes! 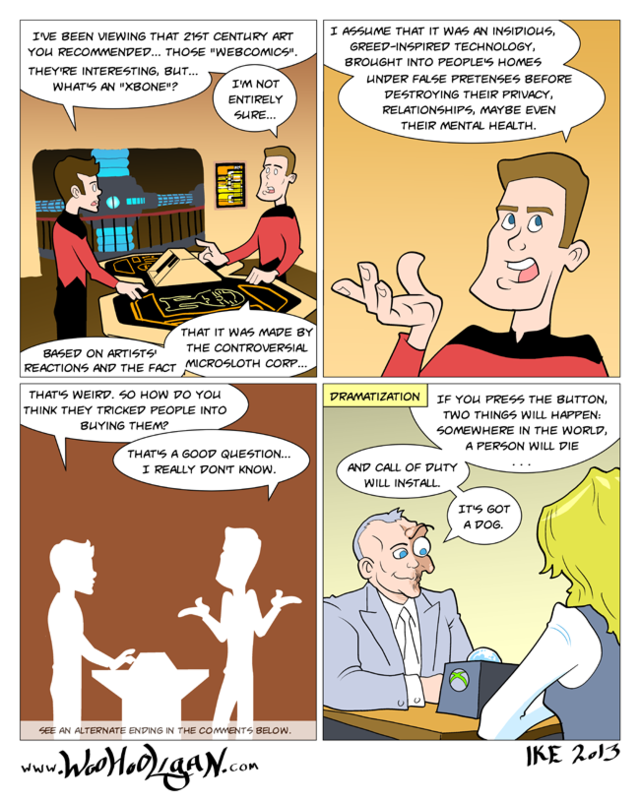 And for your daily dose of irony, this comic is doubly dated as I post it, since not only is it an XBox comic, it's also a The Box comic. 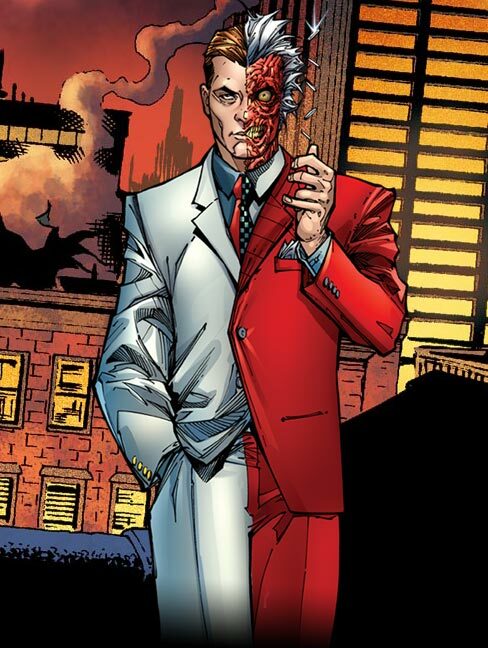 This was a 2009 Cameron Diaz movie in which an elderly Two-Face stunt-double convinces a middle-class suburban housewife to kill someone she didn't know (albeit in a very passive way), in order to save the life of her sick son. If you join the Hooligan Club on Patreon two things will happen: somewhere in the world, someone you don't know will die... I mean, statistically someone dies every 5 seconds, so probably a lot of people will die. You can ease your anxiety about all that death by pledging more on Patreon - people will still die, but more of them will be laughing at the time! The other thing that will happen is you'll get to see alternate endings and other bonus comics and other cool rewards at the higher tiers. You know what else kills people? The Woohooligan facebook page! It's true. Everyone who likes the Woohooligan facebook page is guaranteed to die. Eventually... Come on, there's a waiting list! Your call is very important to us, we'll get to you as soon as we can. Is it mandatory to restart my webcomic in order to make an XBox joke? Are there prizes/kitten videos? I must know by 7:00pm or it won't be 7:00pm anymore.